A tiny bit out of the way but worth it, is The Little Station at Beech Tree Cottages. Owner, Amanda Bahram has stocked her wee shop with all manner of appealing goodies. 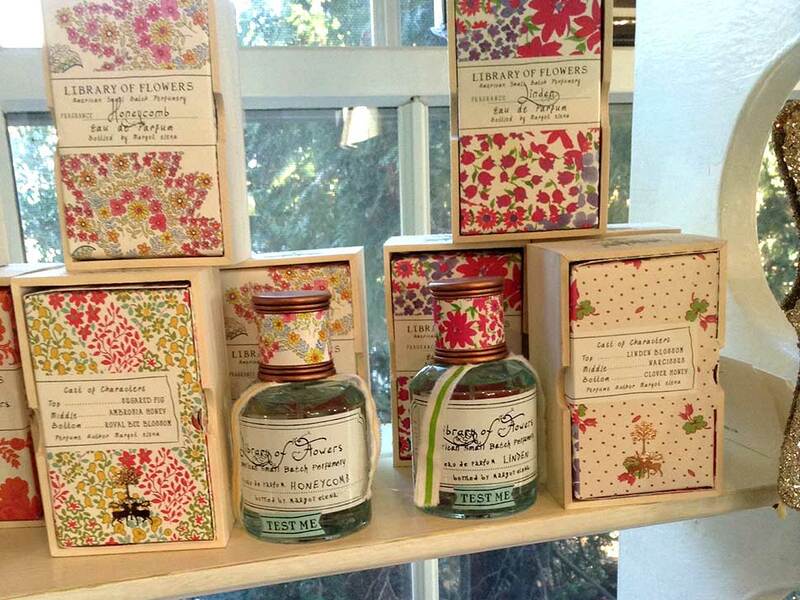 Especially sweet are the scents from Library of Flowers ($12 – 56), dolled up in beautiful floral wrap and available in eau de parfum, scented soaps, shower gel and a genius whipped perfume cream (ideal for the traveler; no worries about a shattered perfume bottle in the suitcase! ).